Just a quick one to get started in February. From a German website ‘Vernunftkraft’ comes the following hand drawn (?) 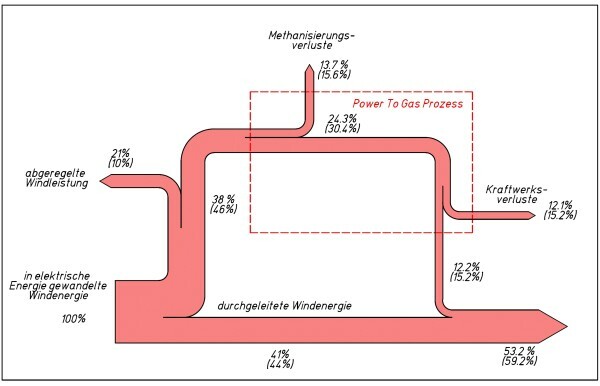 Sankey diagram, depicting losses in wind energy and power-to-gas technology. Two sets of percentage values are given, apparently for two different scenarios. The second Sankey diagram would have the same layout, but different arrow widths. Here is a 2012 post on wind-to-gas-to-power.